Yes, I did it, I watched a Uwe Boll movie. I have never watched any of his other movies before, it seems they are a bit on the trashy side and I’m not tempted to watch the controversial sounding Auschwitz. Now that this has been clarified, I will concentrate solely on Max Schmeling – Fist of the Reich aka Max Schmeling – Eine deutsche Legende. The reception of this movie is a bit surprising. It got 4.1 on IMDB, the only person who reviewed it gave it 3/10. The reviewer is German. On amazon.de the reviews are mostly 1/5 and 2/5 stars. When you hop over to amazon.co.uk you are in for a surprise. The reviewers rate it mostly 5/5. I’m pretty sure, I can tell you why this is the case. (Personally I would rate it 3/5 or 6/10). The way the story is told is somewhat plump. It’s linear storytelling apart from the very first moment where we see Max Schmeling in uniform traipsing around Corfu. These are painful moments for German-speaking people as we hear the “actor” Henry Maske talk. Imagine Schwarzenegger talking through a half-swallowed potato… You can hardly understand what the guy is saying, it’s obvious he is no actor. Every time he opens his mouth during the movie, native German speakers will either laugh or cringe. I’m quite sure this (plus Boll’s reputation) were the main reasons why it got such bad German ratings. Once you have passed this initial bad scene you will start to understand that Henry Maske was a perfect choice. Even Schmeling himself was wishing for Maske to play the role one day. Schmeling was a gutsy boxer, one with courage, who loved to prove himself. At the same time he was very fair with his opponents. When the Nazi’s started to rise he was on the rise as well. They liked to win over athletes as they corresponded to the Nazi ideal of strength, health and invincibility. Schmeling who held the heavy-weight champion title for quite a while was especially liked by Hitler. But when Schmeling announced that he, his trainer (Heino Ferch who is excellent as always) and his Jewish agent were flying over to New York to fight against Joe Lewis, the Nazi leaders were strictly opposed. Joe Lewis had the reputation of being invincible. He knocked out all of his opponents in a few minutes. And he was African-American which seemed hardly the right choice for someone belonging to the master race, as the Nazis called themselves. It took guts to disregard the orders and fly to New York anyway. What happened in New York is boxing history. Max Schmeling knocked out Joe Louis and after this he was definitely the Nazis’ favourite pet athlete. Still, when he announced he would go back to New York and face Joe Luis again, they didn’t approve. They were right this time. He returned beaten and was sent off to war immediately. No other athlete had to go to war, but someone who lost against an African-American and ridiculed the master race had to be punished. All these are things, I didn’t know. I didn’t know either that Schmeling and his wife were one of the most famous couples in German history. She was an actress and they got married before he flew to New York for the first time. They stayed happy together until her death in the 80s. Schmeling lived until 2005. After the war he had a hard time making a living and wasn’t denazified at first. For all those who moan about Henry Maske’s acting I’d like to say, that it is not fair. This is a boxing film. 60% of the movie centers on the fights, training and boxing. If you like boxing, you will like this movie as Maske is an excellent boxer. He was the world title holder for many years – not in heavyweight but in light heavyweight – and used to be one of the best-liked German sports people. He is originally from the former German Democratic Republic which explains the mumbling to a certain extent as their accent is a bit on the rough side. I’m fond of Maske, he is a likable person, I also like boxing and found the fights gripping. Certainly not a great film but entertaining and interesting. I only found a German trailer but the movie has been subtitled. 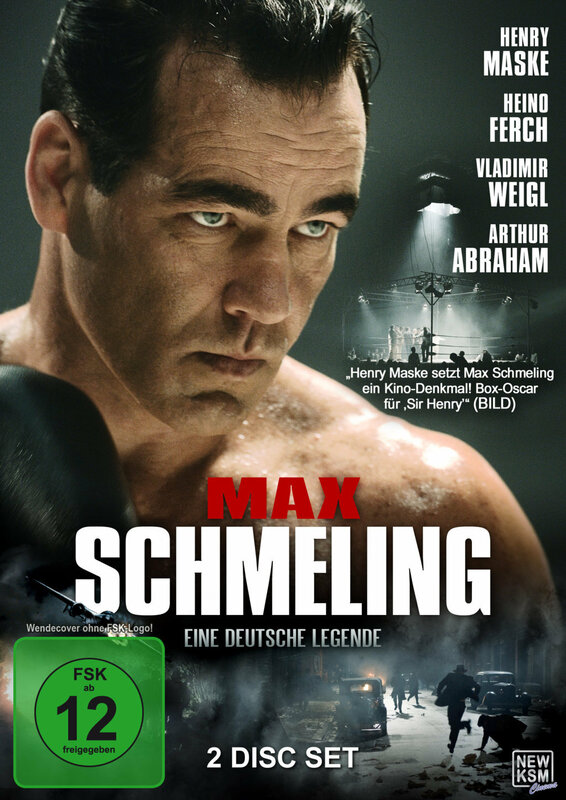 This entry was posted in Movie, Reviews, Trailer, True Story, War Movie, WWII and tagged Boxing, Heino Ferch, Henry Maske, History, Max Schmeling, Max Schmeling - Eine deutsche Legende, Max Schmeling - Fist of the Reich, Movies, Review, Trailer, True Story, Uwe, Uwe Boll, War Movie. Thanks for reminding me of this story. I talk about Joe Louis in my 1930s unit and have been forgetting to add the postscript about Schmeling. I think I read something about him sheltering Jews. He was a remarkable man. Schmeling was a remarkable man and maybe they didn’t capture this 100% but there is a long postscript to the movie that gives more information. Obviously the film covers just a short period. He was almost 100 years old when he died. I think Maske wasn’t such a bad choice. You are welcome. I found the story fascinating. It seems he was more outspoken and wittier in real life, may be. I just got a mini (sports) history lesson by reading this review. Cool. That’s why I liked the movie. It’s instructive. It’s a fascinating story, I think.